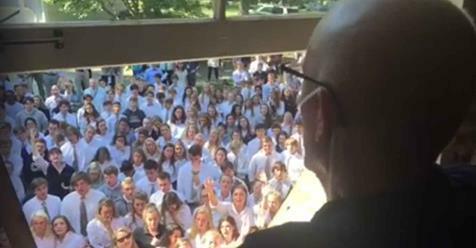 Home › life › videos › Teacher With Cancer Shocked When He Looks Out Window, Surprised By 400 Students Singing On Front Lawn. Teacher With Cancer Shocked When He Looks Out Window, Surprised By 400 Students Singing On Front Lawn. A video of a man named Ben Ellis is going viral today for all the right reasons. Mr. Ellis, a Latin teacher at Christ Presbyterian Academy in Nashville, is battling cancer. Due to his illness, Mr. Ellis has had to take a break from teaching, but that didn’t stop his students from seeing him. Mr. Ellis was in his room when a commotion on his front lawn drew him to his window; looking down from his second story, Mr. Ellis saw over 400 students plus faculty from his school standing on his front lawn, singing worship music, praying over his house. The moment was caught on video and shared on Facebook by country singer Tim McGraw, and it is nothing short of sob-worthy. A mom of the one of the students commented as well. 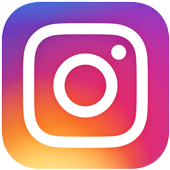 I wanted to give you an update on this morning’s change of schedule and chapel for the high school, as it was a bit unorthodox, but sometimes that’s just how the Holy Spirit calls us to be. Over the course of last night and into this morning, three separate and unrelated people approached me saying that while praying they received a vision of the high school students and faculty singing praises on the front lawn of the home of Ben Ellis, our Latin teacher who is battling cancer and who loves a good hymn sing. So, we loaded the buses and cars and went. It was a powerful and moving outpouring of love that our students were able to bestow upon a man who loves us well. We returned to campus and went straight into chapel, where we prayed and praised God. It was broken and beautiful.